Working long hours in the City and planning her ideal wedding, Angela Wong dreamed about one day opening her own bridal wear shop. Three years later that dream has been realised with beautiful new bridal store Toni Bridal opening near Hackbridge station. 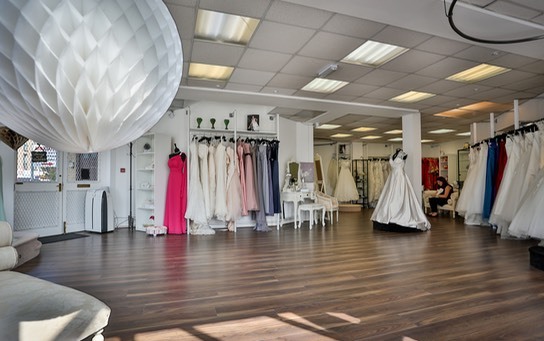 Exquisite gowns and stunning accessories fill the�gloriously spacious shop flooded with natural light. The beautiful interior and range is testimony to Angela's fabulous style and eye for detail and it is clear she has found her true calling in making other brides' dreams come true too. "I become obsessed with the�wedding dress business," explains Angela. "I had so much fun looking for my�dress that I said to myself I should have my own shop! Obviously�it's easier said than done so that was just one of those�passing thoughts..."
After giving birth to her son in 2012 Angela really didn’t like the thought of going back into the City�working long hours in a job she had been doing since she graduated. "I didn't like being away from my son so I decided I had to do�something about it!" Angela successfully got some backers and a year later�Toni Bridal� became reality. "To cut a long story short the name is an amalgamation of the business partners' names�put together," explains Angela. 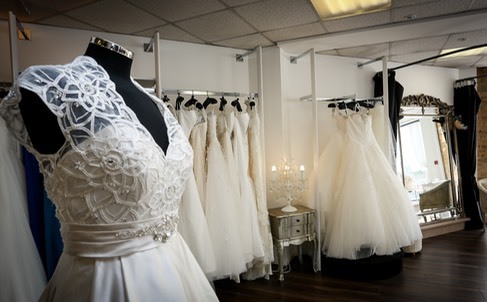 Toni Bridal�currently has a great offer for Local Mums:�a free garter and 10% off accessories and bridesmaid dresses if you buy your wedding dress from them. So if you are looking for a stunning dress for your big day, why not give Angela a call?